The name Tony MacAlpine is synonymous with modern musical virtuosity. Whether performing as a solo artist, band member, session player, touring hired-gun, or as a producer, Tony MacAlpine continues to prove that he truly is one of rocks most amazing and versatile musicians. He incorporates classical, jazz and fusion influences into the hard rock/metal genre on both guitar and keyboards. At age 12, Tony picked up the guitar. He was later discovered in the pages of Guitar Player magazine by Mike Varney in 1984, and soon became a leading figure in the neoclassical guitar virtuoso movement of the mid to late 80s. MacAlpine was possibly the first new rock guitar instrumental artist of the 80s to break 100,000 units in the USA. His debut album Edge Of Insanity (1986) and sophomore release Maximum Security (1987) are cited by countless guitarists as major influences. Tony performed guitar and keyboards on Edge Of Insanity (with Billy Sheehan on bass and Steve Smith on drums), and all instruments (with the exception of drums by Deen Castronovo and Atma Anur) on Maximum Security, highlighting his musical dexterity. MacAlpine continued his extraordinary output into the 90s, with critically acclaimed releases Freedom to Fly (1992), Madness (1993), Premonition (1994) and Evolution (1995), which all remain among his discographys best sellers. Shortly after, Tony was invited to join the band of fellow guitar virtuoso Steve Vai (along with Billy Sheehan on bass) where he played both guitar and keyboards, often doubling Vais formidable leads on both instruments. Tony performed and toured the world with Vai for seven years, playing to hundreds of thousands of people, and appearing on the certified double-platinum DVD Live At The Astoria, London, along with the G303 Live In Denver and G3 Live In Tokyo DVDs. In 2006, Shrapnel Records celebrated Tonys 20 year career with Collection  The Shrapnel Years  an album containing some of his hottest musical moments  comprised of aggressive rock and fusion compositions which highlight Tonys incredible technique and melodic flair. These tracks contain standout performances by some of the greatest musicians in progressive music, including drummers Steve Smith and Deen Castronovo as well as bassists Billy Sheehan and Tony Franklin and other world class players. In 2007, Tony was the featured guitarist for French pop legend Michel Polnareffs highly successful comeback tour in France, playing to over half a million people during the tours three month run. A special performance of this event was televised across France. He also appeared in the 2008 award-winning motion picture Crazy: The Hank Garland Story making a cameo as Wes Montgomery. 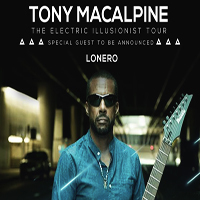 In 2011, Tony made a highly anticipated return to solo work, with his self-titled album Tony MacAlpine released in the USA and Europe on June 21. It features 12 blistering tracks of MacAlpine on 7 and 8-stringed guitars, keyboards, bass and programming, along with appearances from drum legends Virgil Donati and Marco Minnemann. The album garnered widespread critical acclaim  Premier Guitar magazine calling it one of the best instrumental records of 2011. Unfortunately, shortly after the subsequent US tour, Tony was diagnosed with colon cancer, and was forced to cancel tours of Europe, Asia and Australia, and immediately undergo treatment. In a double blow, Tonys wife was diagnosed with breast cancer around the same time. In December 2015, his fellow musicians banded together for A Benefit for Tony MacAlpine at the Wiltern Theater in Los Angeles, featuring performances from Steve Vai, Mike Portnoy, Billy Sheehan, Derek Sherinian, John 5, Zakk Wylde, Paul Gilbert, Nuno Bettencourt, Tom Morello, Richie Kotzen, and hosted by Eddie Trunk. The show also combined with an auction featuring items donated from a whos who of rock royalty. In the later stages of Tonys recovery in 2016, he supported Steve Vai on the west coast run of the Passion and Warfare 25th Anniversary Tour; and performed dates in France as the guitarist in Michel Polnareffs band. Can something be wry, aching, hysterical, evocative, provocative, fun, beautifully sung, and consummately played all at once? Can it? Thatd be Vance Gilbert and his transcendent new album BaD Dog Buffet. With the generous assistance from a varied list of super-respected guestsincluding Celtic harpist/singer Aine Minogue, bluegrass boys Darol Anger and Joe Walsh Jr., jazz sax player Grace Kelly, country rock hero Roy Sludge, and guitar mainstay Kevin Barrythis talented mans musical truth plays out shamelessly on BaD Dog Buffet. Fully funded by his fans, the record has so far received raves reviews based solely on the material folks knew would be on it Those who know and love Vance have already enjoyed the life-loving capitulation of God Bless Everyone, the seething rocker Nothing from You, and the tonguein-cheek, happy break-up song, Out the Way We Came In. First Ring is a Vance classic, a banjo love story rooted in folk whimsy, while Kiss the Bad Boys sounds like what would happen if Bootsy Collins and Bruce Springsteen were trapped in an elevator and ended up writing a song together. Unfamiliar Moon, which some may know as Vances signature songa tune that landed him in the second round of auditions of TVs Americas Got Talentis revisited here in a pared down version with Anger on fiddle. Vance exploded onto the scene in the early 90s, with buzz spreading quickly. Who was this multicultural arts teacher knocking them dead at open mics? After opening Shawn Colvins 1992 Fat City tour, he took much of America by storm and by surprise. With the voice of an angel, the wit of a devil, and the guitar playing of a god, it was enough to earn him that rarity: an encore for an opener, wrote the Fort Worth Star-Telegram in its review of a show from the Colvin tour. emotionally resonant. The Globe placed the album on its Top 10 list that year. Mystic Braves might be rooted in the psychedelic scene of the 1960s, but the bands moment is happening right now. Based in Echo Park, Los Angeleshome of a white-hot garage band revival of which the Braves are at the forefrontthis five-piece musical sensation started out as a hobby, but for the musicians involved has become much more. And while the groupmade up ofJulian Ducatenzeiler on guitar and vocals,Tony Malacaraon bass and vocals, Shane Stotsenbergon guitar and vocals, Cameron Gartungon drums and Ignacio Gonzalezon organ and tambourineisnt straying far from what Ducatenzeiler describes as a a blend of influence and sound that is unprecedented in contemporary music, there are certainly some changes afoot. Since theearly days, Mystic Braves have gone on to release two full-length recordsboth recorded at Lolipopand a single and have played extensively to ever-increasing crowds in Southern California and beyond. And thegoodwill that their first songs garnered has never gone away. Lucy Spraggan is in a good place and wants to share it with you. She is happy in love, life and music: three things that are reflected in the anthemic, upbeat, and infectious sound of her new album. The past few years have been the best of times for the singer-songwriter and Today Was a Good Day sings that message loud. The UK has one of the highest youth suicide rates in the developed world and an ever-growing incidence of mental health difficulties across our population: Spraggans personal experience of dark days compels her to pass on the message of hope that forms the backbone of this album. Spraggan wants use her experiences to help others. Last year, she released Stick The Kettle On  the first track on this the Today Was a Good Day album - in support of CALM - The Campaign Against Living Miserably. The track was written with Roy Stride (Scouting For Girls), and Stride and Spraggan decided work with CALM to help people who suffer with mental health issues. Today Was a Good Day marks a new chapter for Spraggan musically. She signed a new record and publishing deal with Cooking Vinyl in 2018. The new album, produced by Jon Maquire showcases Spraggans voice in the structure of the songs. Overall she sounds at her most confident and accomplished, and ready to build on her 50 million views on YouTube and 25 million streams on Spotify. The most Googled musician of 2012, Spraggan was the first X Factor artist to play Glastonbury and will perform there again this year on the Avalon Stage after filling the Acoustic Tent in 2017. 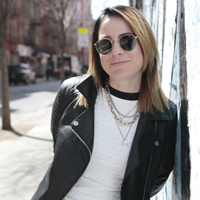 Spraggans invitation to support Melissa Etheridge on tour across Europe and the UK will surely be one of the highlights of 2019, despite coming so early in the year. 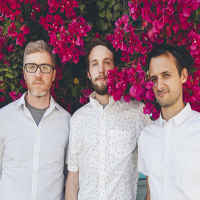 Bombadil is a long-running folk-pop band from Durham, NC. 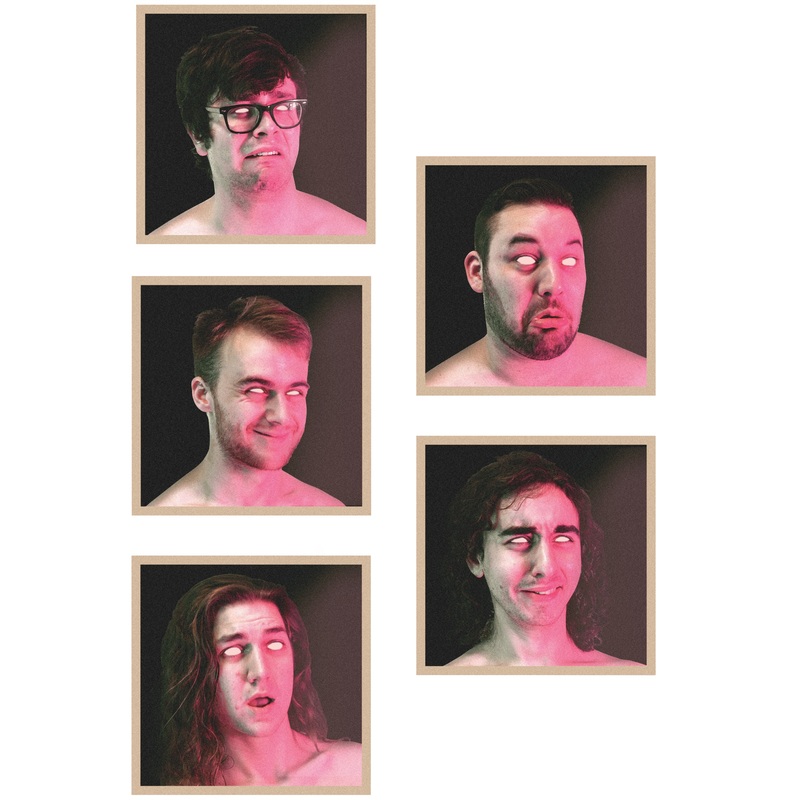 The band has made fans at NPR, Rolling Stone and the New York Times, who called them "astonishing." Time Out New York said their music is bursting with irresistible melodies, unexpected lyrical gems, and moments of profound honesty, all anchored by expert songwriting skills." 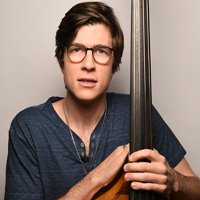 Scotts songs have received honors or been featured in NPRS Tiny Desk Contest, the International Songwriting Competition, John Lennon Songwriting Contest, and American Songwriter Magazines 30th Anniversary Contest, and he has had numerous cuts on other artists albums. 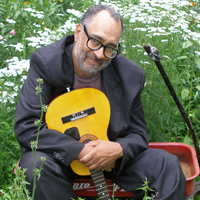 Hes currently touring in support of his September release, Top Of The Stairs(EP), which was produced by himself, Charlie Peacock (The Civil Wars, The Lone Bellow) Gary Paczosa (Alison Krauss, Sarah Jarosz), and Shani Ghandi (Sarah Jarosz). 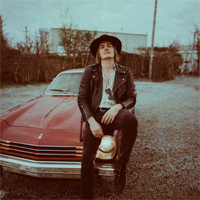 Dylan LeBlanc knows second chances dont come around often. But, neither do voices like his. 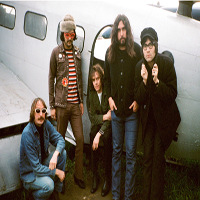 Overwhelmed by the speed his gift would take him, from Applebees server to the new Neil Young in a matter of months, he walked away from an unlikely major label deal after releasing two critically acclaimed albums. He slipped into a blur of booze and self-doubt. Exhausted and damaged at just 23-years-old, Dylan came home to Muscle Shoals, Alabama to write a new life for himself. To help him say it, he sought out long-time friend Ben Tanner, the same guy who had secretly helped Dylan record his first songs after hours while working at fabled FAME Studios. (He also introduced a 16-year-old Dylan to Wilco, George Harrison, and Ryan Adams by way of an external hard drive). In between touring with Alabama Shakes, Ben was beginning to engineer records again at the label he started with another friend of Dylans, Grammy Award-winning musician John Paul White, formerly of the Civil Wars. The two both produced and played on Cautionary Tale. The stripped down aesthetic that John Paul and Ben have made their labels calling card sets Dylans voice in a light bright enough to see the patina the last few years has left behind. If Dylan was wandering through a cemetery with his first album Paupers Field (Songs are like headstones to me, he told The Guardian), Cautionary Tale is an abandoned desert town. He reflects on what once was, and if anything could be again. At times, he wonders if the signs of life he sees on the horizon are real or just a mirage. Phantasmic, warbling voices in the background rise to meet his own and fade into the ether; ghostly guitar riffs echo in the emptiness around him. Finding the right arrangement and words was a more deliberate effort for Dylan this time. After feeling lost in the mania of recording his first two albums, he relied on Ben and John Paul to help him collect the pieces of his vision. While Dylan will be the first to admit he wasnt ready to stand on the stages he played early in his career, theres no doubting he is now. With a recalibrated compass, hes back on the road opening sold-out shows for British singer-songwriter George Ezra, another artist praised for a wizened voice beyond his years. Dylan will continue to support George through September 2015, including a show at Nashvilles legendary Ryman Auditorium. Next, hell embark on his solo tour with dates throughout the South, Midwest, and New England. 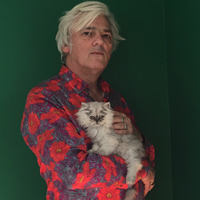 Robyn Hitchcock is one of Englands most enduring contemporary singer/songwriters and live performers. A surrealist poet, talented guitarist, cult artist and musicians musician, Hitchcock is among alternative rocks father figures and is the closest thing the genre has to a Bob Dylan (not coincidentally his biggest musical inspiration). Since founding the art-rock band The Soft Boys in 1976, Robyn has recorded more than 20 albums as well as starred in Storefront Hitchcock an in concert film recorded in New York and directed by Jonathan Demme.